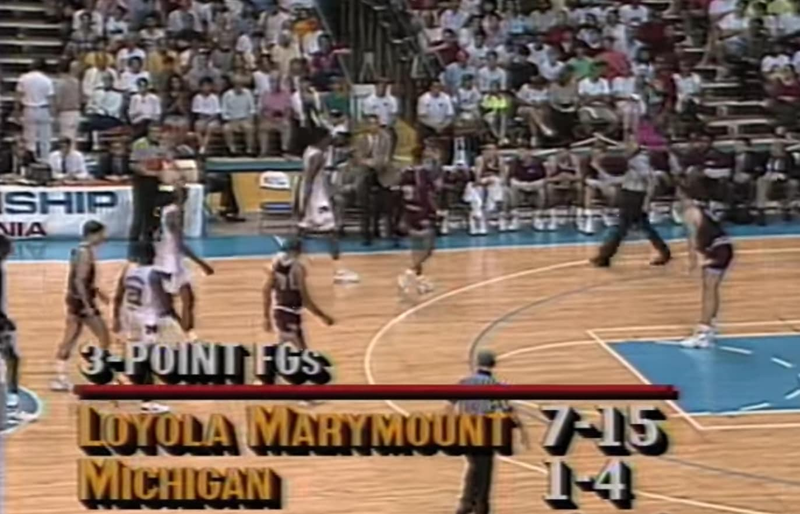 On March 18, 1990, in the second round of the NCAA tournament, Loyola Marymount beat Michigan 149-115. That game still holds the record for the highest-scoring final in NCAA tournament history. So, we watched the entire thing to see what we could learn from it. Coming into the game, Michigan coach Steve Fisher was in his first full season at the helm of the Wolverines. In 1989, then-Michigan coach Bill Frieder took a coaching job with Arizona State during the final week of the regular season. Michigan athletic director Bo Schembechler fired Frieder, and placed Fisher — who was an assistant coach — in charge. Fisher somehow led the Wolverines to the national championship that year. When his Michigan team faced Loyola Marymount the following year, Fisher was 7-0 in NCAA tournament play. 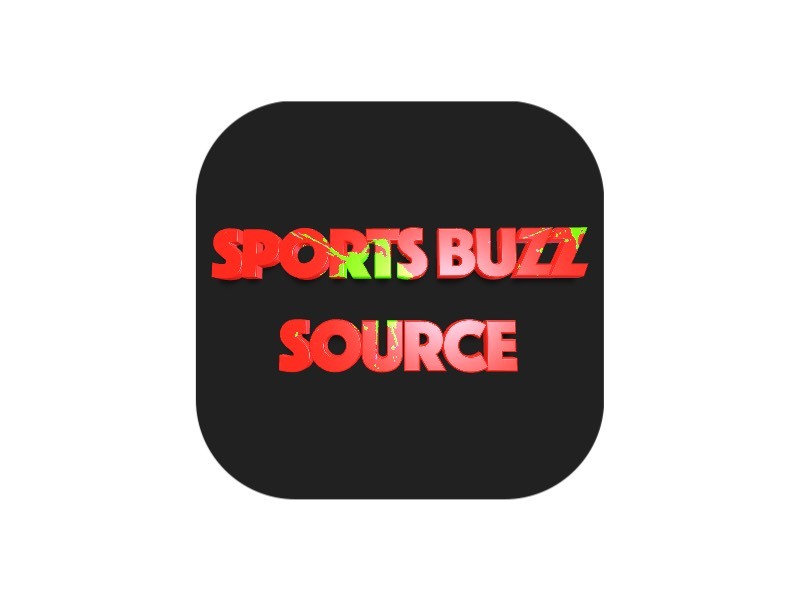 Loyola Marymount entered the game less than a month removed from the tragic death of star Hank Gathers, who collapsed during the West Coast Conference tournament due to a heart condition. The previous year, Gathers had become just the second player in NCAA history to lead Division I in both scoring and rebounding in the same year. The Lions wore #44 patches on their jerseys for the rest of the year to commemorate their teammate. This game was played at Long Beach Arena, just 30 miles down the road from LMU’s Los Angeles campus. The crowd will be decidedly Lion-friendly. But still, this was a 3 seed against an 11 seed. The state flagship versus a small private school. The defending champs taking on a Cinderella. With the stage set, let’s get to the breakdown. The game gets chippy early. Mike Griffin is tasked with defending Bo Kimble, who grabbed 18 rebounds in the game right before this. Griffin fouls Kimble, and on the inbounds play, Griffin falls to the floor, struck by a phantom elbow from Kimble, who immediately offers to help him up. There’s a section of déjà vu early in the half, where Michigan’s Per Stumer takes three uncontested 3-pointers in a row from the exact same spot on the floor. Whether this is a coach’s or player’s decision is somewhat unclear, but Stumer misses the first two and nails the third. It’s a sign of things to come — LMU jacking every 3-pointer they can, and the long bombs starting to fall. Possessions in this game are super short, just like Loyola Marymount likes it. Each team is averaging less than 7 seconds before its first shot in the half. Here, one of the fast breaks leads to an alley-oop for Michigan, but the Wolverines get a warning for delay of game, a sneaky technique for trying to slow down LMU’s break. Michigan is setting up the halfcourt defense, LMU is pressing. Leads to a lot of traditional breaks for Michigan. They don’t have much of a problem breaking the press, but they take quick shots once they do, rather than pulling back, setting up the halfcourt offense, and slowing the game down. If you look at any one segment in this game, it’s easy to see how these teams combined for 264 points, but none shows it better than this segment. Seven possessions, seven shots, seven baskets. Yeah, these guys were hot. Halftime rolls around, and Loyola Marymount leads 65-58. With 11 minutes left to play, Loyola Marymount hits the 100-point mark for the 27th time in 30 games this season, an NCAA record. The delay-of-game warning from earlier comes back as Michigan gets a technical foul for grabbing the ball once it came through the rim. It hardly looks worthy of a technical, but half a second is a huge difference in this tempo. 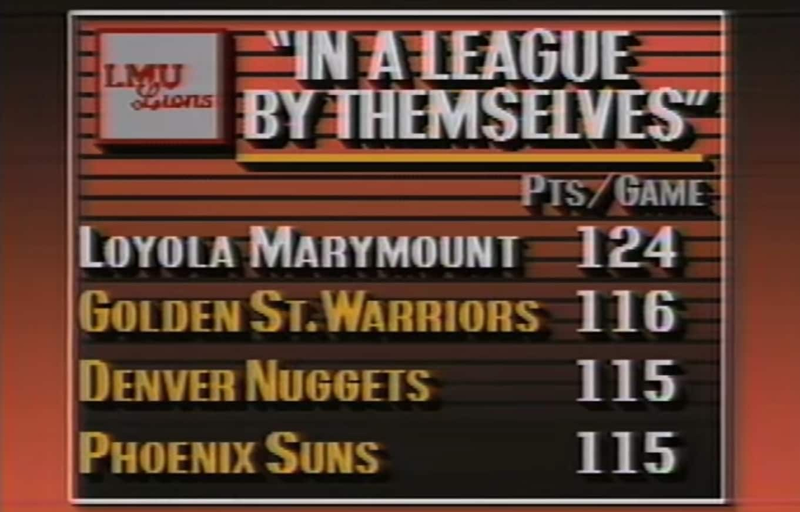 Soon after, LMU ties the NCAA record with 127 points and an on-screen graphic shows a comparison between LMU and the top NBA teams. Those NBA teams happen to play 8 extra minutes per game, by the way. One minute later, they set the new record. Watching the end of the game, it’s easy to see that the record could have been even more unbreakable. With five minutes left, LMU pulls the ball back and goes to a four-corners offense. 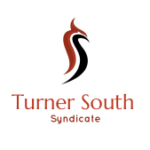 It just seems… wrong. LMU’s Jeff Fryer finds himself on a 2-on-1 fast break, but steps back behind the line for a wide open 3-pointer and nails it with 1:30 left in the game. It’s his 11th of the game, which is a record that still stands. He would have 41 points without ever going to the free throw line. With 16 seconds left, Kimble fouls out. The nation’s leading scorer has 37 points. From the crowd’s reaction and Kimble immediately being swarmed by his teammates, you can see how close this Lions squad is. One more for the road? Why not. Marcellus Lee gathers a rebound off of a missed free throw, and looses a wild 3-pointer. It’s good, and we have a final score: 149-115. Loyola Marymount averaged 122 points per game this season. Michigan, 86. It was clear that this would become a battle of tempo, but Michigan decided to play to Loyola Marymount’s speed, wanting to unleash their star players (four returning starters from the 1989 championship team) instead of slowing down the pace. This is exactly what LMU wanted, and it doomed the Wolverines, who ran out of gas in the second half. Michigan was actually fairly adept at breaking LMU’s full-court press, but once they broke it, they tried to capitalize on the chaos of the break, taking quick shots instead of pulling back and running a halfcourt set. Loyola Marymount could not be stopped from behind the arc. The Lions were 21-40 from 3-point land, while Michigan was 4-13. That’s pretty impossible to overcome, regardless of pace. 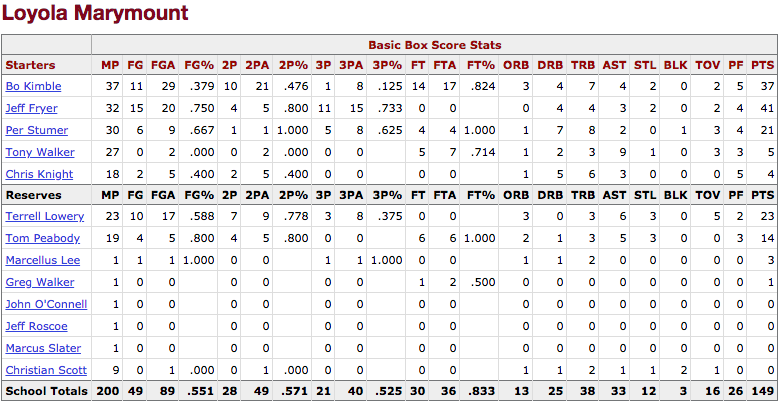 11 players scored double figures in the game, led by Jeff Fryer with 41, and Bo Kimble at 37. Fryer streched the defense with 11 3-pointers (an NCAA tournament record), while Kimble sliced up the inside. Together, those two scored more points (78) than 22 of the 32 teams in the second round of the 1990 NCAA tournament. Good luck against that.